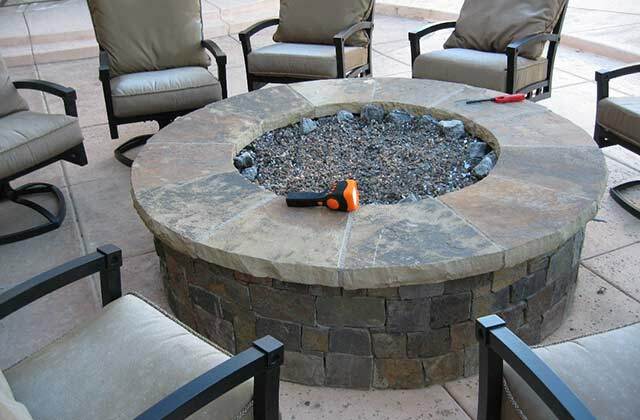 This custom fire ring is made of Frontier sandstone with chiseled edges and cleft top surface. 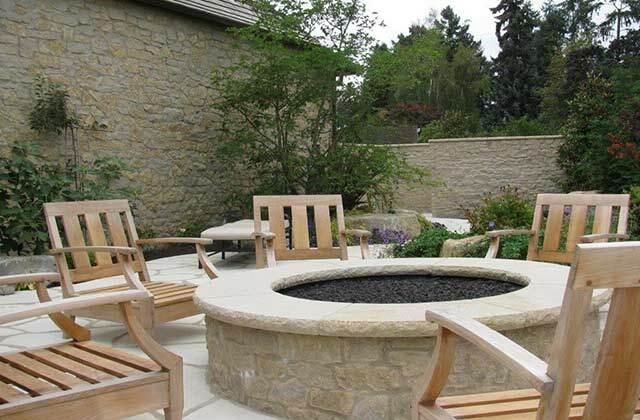 This custom fire ring is made of Leuder’s Buff limestone and has rock faced edges with a honed top surface. 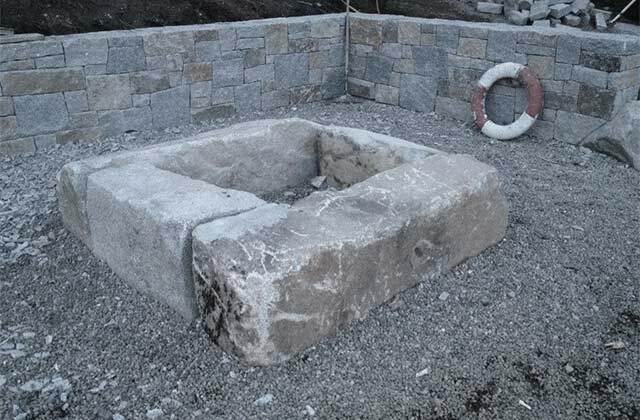 This rustic “flintstone” fire pit is made of High Cascade granite, split and chiseled to shape. 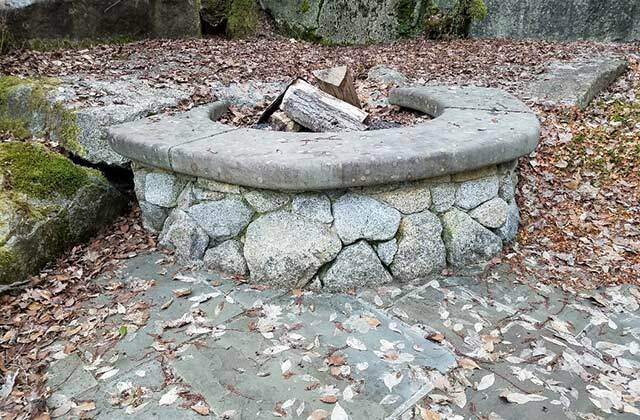 This fire ring wall is made from Bandera granite and the benchtop is Tenino.